Tina adored Michael from the start. From a twelve-year-old holding him in her arms as a newborn, to being his teenage nanny, Tina remained Michael’s trusted confidant until his sudden death. 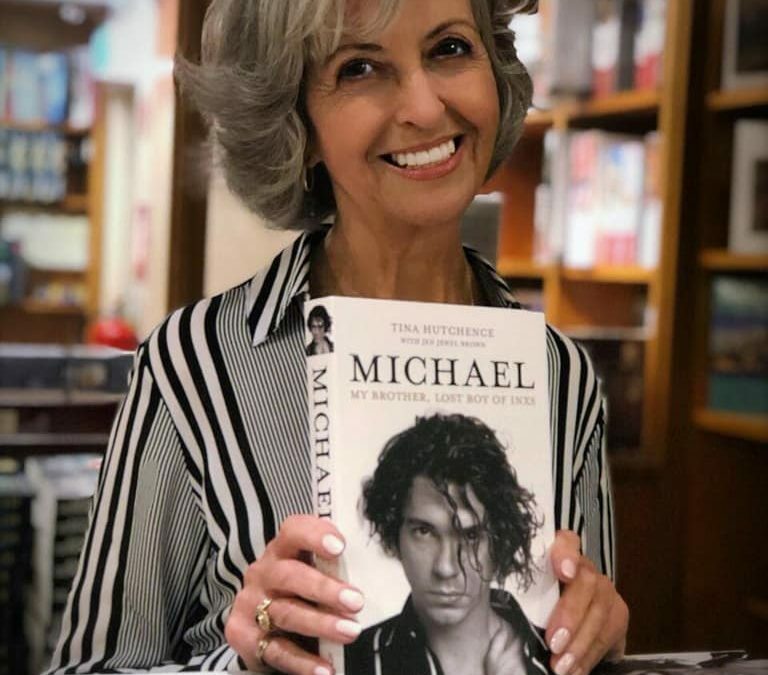 Tina’s intimate and detailed telling of her brother’s story – from faltering teenager with a lisp to raging rock star – blazes with love and adventure, and includes the acquired brain injury that changed everything for Michael. This personal and heartfelt biography reveals the incredible, rollercoaster life of Australia’s most enduring superstar and shares the private moments of an adored brother, son and father. Christina ‘Tina’ Hutchence was born in Melbourne, Australia and managed to attend school in all three eastern states across six schools in four years. As a teenager she moved to Hong Kong and followed her mother into the motion picture industry as a makeup artist, a career she continued in after moving to California in her early twenties. Tina continues to keep Michael’s memory alive sharing his story and supporting the Traumatic Brain Injury Association. She is the mother of two children and the proud grandmother to 5. With a career spanning 40 extraordinary years and a solid chart history that includes seven Billboard Top 10 hits (# 1 Need You Tonight, # 2 Devil Inside, # 3 New Sensation, # 4 What You Need, # 7 Never Tear Us Apart, # 8 Disappear, and # 9 Suicide Blonde), INXS is undoubtedly one of the world’s most successful bands. In the United States alone, they have sold over 15 million albums, making them the third-highest selling Australian music act in the U.S. behind AC/DC and The BeeGees. Few rock bands have achieved the success and longevity that INXS has enjoyed.